The channel was breached shortly after the open. The SPX then rallied and hit my first target at 1312 about an hour ago. 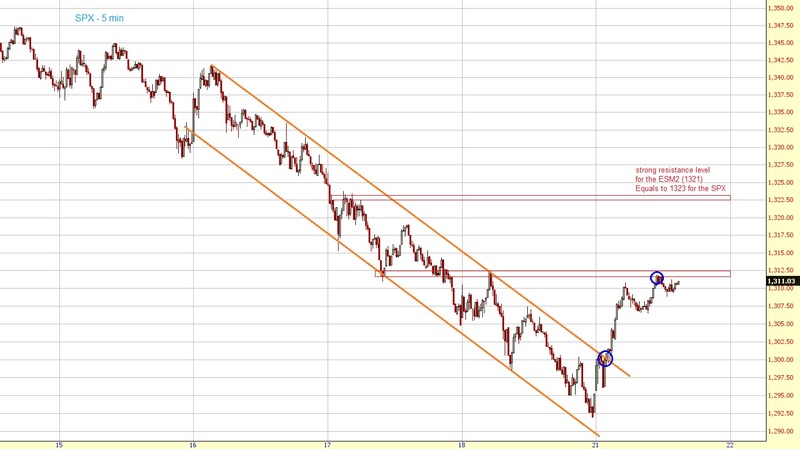 If 1312 is breached the next targets are 1323 and 1335-40.